Joining the World Music Day (June 21) celebrations, Hard Rock Cafe (HRC) will host a multi-city performance this Sunday, along with ArtistAloud (a talent and independent content platform). 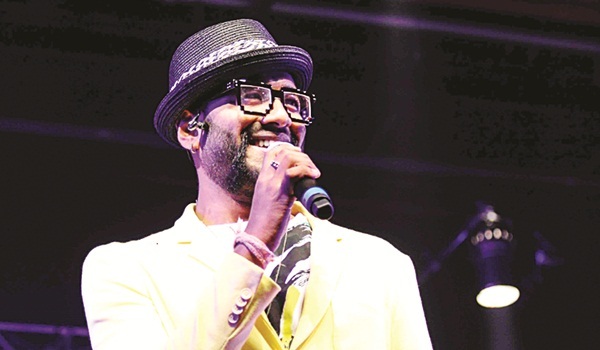 It will feature Bollywood biggies Benny Dayal and Amit Trivedi, DJ Chetas, EDM artistes Lost Stories and Zaeden, and evergreen rock bands, Indian Ocean, Parikrama and Euphoria. The line-up is a representation of the different music preferences of each city, says Jay Singh, co-founder and executive director, JSM Corporation, which owns the HRC franchise in India. Any message for music fans? a�?Ita��s wonderful when people from all walks of life come together to celebrate music. We promise you a good evening,a�? he says, informing us that HRC turns 10 in India in September, assuring that it will keep up its efforts to nurture local talent with properties like Hard Rock Rising and Sound Monk Activation. Meanwhile, we speak to a few artistes about their acts. longtime girlfriend, Catherine Thangam. Ask him a song hea��d like to dedicate to his model-actor wife and he promptly says Pal pal dil ke paas. 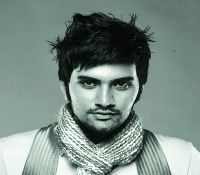 Dayal, one of the most stylish musicians in B-town, has sung for films Mastizaade and Bachaana this year. universe for giving me this blessing (this song won him the RD Burman Award for New Music Talent at the Filmfare Awards). Early influences: Michael Jackson, Stevie Wonder, AR Rahman and Kishore Kumar. Favourite MUSIC APP: ACapella. I can keep making ACapella videos all the time. All I require is my headphones. Dream Stage: Madison Square Garden and the Taj Mahal. UP NEXT: I am dropping an EP soon. While the much-anticipated Emraan Hashmi-starrer Azhar sank without a trace, its song, Oye, Oye has become a fixture at nightclubs. This was DJ Chetasa�� first project as a music composer in Bollywood. Known to blend Indian melodies and EDM beats into power-packed remixes, he was named No 59 in the 100 DJs poll by dance music magazine, DJ Mag Top last year. Set list: la��ll be dropping a number of current Bollywood hits, along with a few retros. DJs I like: DJ Aqeel. Also my friend DJ Aaryan has started using future bass and trap in his remixes, and the result is great. On loop: Soch na sake, Agar tum saath ho and Dharma by KSHMR and Headhunterz. MEMORABLE GIG: It was last year at Kora Kendra Grounds in Mumbai. It was scheduled for 8 pm, but my flight landed at 8.30 pm. I rode a bike and reached the venue by 9.10 pm and then played a 45-minute set. I was clueless since there were so many thoughts going through my head. But when I saw hundreds of pictures of the night on Instagram the next day, I said I would do this all over again. There were 20,000 students there.Pet music project: To present the songs of Karz in anA�electronic format. Ia��m working on it. WORDS OF ADVICE: Humility is important. You never know who or what can pull you down. FUTURE PROJECTS: A tour across the US, the UK and Europe later this year or next. And eight more releases. Last year was a milestone for the EDM duo as A�they played at Tomorrowland. Remixing The Spark by Afrojack in 2014 was another breakout moment. 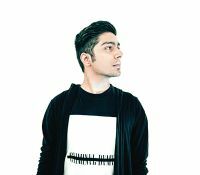 The How You Like Me Now duo, which has shared the stage with names like Tiesto and Armin Van Buuren in the past, is set a�?to remix the biggest song of 2016a�?, but Mehta refuses to divulge the name. They also plan to take their Mumbai-based Lost Stories Academy to Delhi. The setlist: A mix of fresh electronicaA�with some Indian sounds. On loop: Marshmelloa��s remix A�of Adelea��s Hello, and Stay by Kygo. studio. Animoog is another great A�iOS synth. in how you sell it. UP NEXT: A bunch of singles (two with Armaan Malik and Kavita Seth), and a track with Belgium-Israeli trio, Jetfire. Also, a live visual set for our Euro tour this year. million views for his track, Yesterday last Christmas. The setlist: I will test out two new tracks. One is Blame (about a boy feeling guilty about cheating on his girlfriend), and City of a lonely heart (a love story). Both of them are radio-friendly, hummable, and not EDM-heavy. A forgettable gig: Maybe the last one in Vadodara, Gujarat. My stomach was upset and I could play only for 30 minutes. On another occasion, I was too drunk. I pressed the play button of a running CDJ (music player for DJing) and the music stopped (laughs). So dona��t drink before you play. 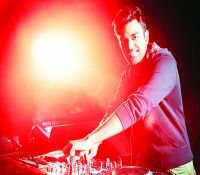 Musicians/bands I like: In India, ita��s Udyan Sagar aka Nucleya. Then, Avicii from Sweden and Coldplay, as always. Among producers, I like Aleksander Vinter (Savant) from Norway. He can make anything sound good. Gadgets I want: Ableton Push. It is a MIDI Controller (you can tap or push the buttons on this gear to make music). I also plan to buy a grand piano. LOOK FORWARD TO: My new track, Never Let You Go, with Nina & Malika of The Electrovertz. It comes out on July 29. I also have two solo releases coming up.